SKU: COS102 Categories: Body Health, Body Slimming, Detoxification, Health Drink Brands: Oriyen. ‘ riyen D’Lite Tea contains specially selected herbs that help remove excess fat, prevent constipation and promote the overall cleansing of the gastrointestinal system. This will result in the removal of ‘toxins’ and the regulation of the body’s metabolism. ‘Clean’ intestines will be better able to absorb good nutrition to fuel the body. Drinking Oriyen D’Lite Tea regularly will result in more energy, better health and a slimmer body within 2 months. To stay slim and healthy, the gastrointestinal system must function well. if ‘toxins’ are allowed to accumulate in the intestines, the person will feel tired and sluggish, experience bad breath, water retention and an accumulation of excess fat in the body. Stressful environment, heavy work pressure, poor dietary habit (heavy meals with lots of fried food), lack of exercise..all these can contribute to build up of toxins in your system. Your intestines are like drainpipes in your kitchen where grease and other ‘rubbish’ are constantly poured down the drain. If it is not cleaned regularly, the oil and grease will slowly form a firm around the insides of the pipes, and will eventually clog up the drain. When this happens in the intestines, the result is poor absorption of nutrients (vitamins, minerals, protein, etc.). When the body does not get the needed nutrition for peak performance due to a sluggish, dulled metabolism, the body tends to store and retain fat rather than burning it off efficiently. Oriyen D’Lite Tea is an all-natural, herbal beverage with no preservatives or artificial colours or flavours. Taken regularly, it nourishes and accelerates ‘internal cleansing’ of the body. Oriyen D’Lite Tea contains herbs with a mild laxative action to clear toxins and heatiness from the body. Due to differences in lifestyles and body conditions, some may experience slight bowel movements whilst others may have a greater reaction. This is normal. It is advisable for a person to start off with a lighter brew to allow the body to adapt to these changes. Oriyen D’Lite Tea is an all-natural, herbal beverage with no preservatives or artificial colours or flavours. Taken regularly, it nourishes the body while also helping to accelerate ‘internal cleansing’ of the body. 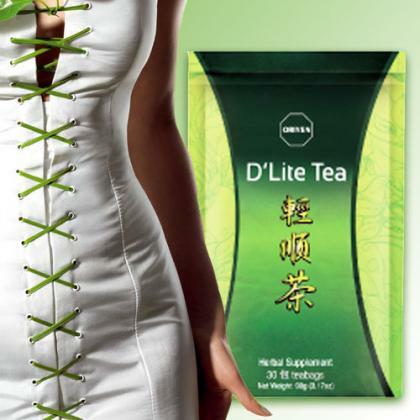 After achieving the desired weight, continue taking Oriyen D’Lite Tea regularly to help stay in shape. Oriyen D’Lite Tea has many other health benefits. 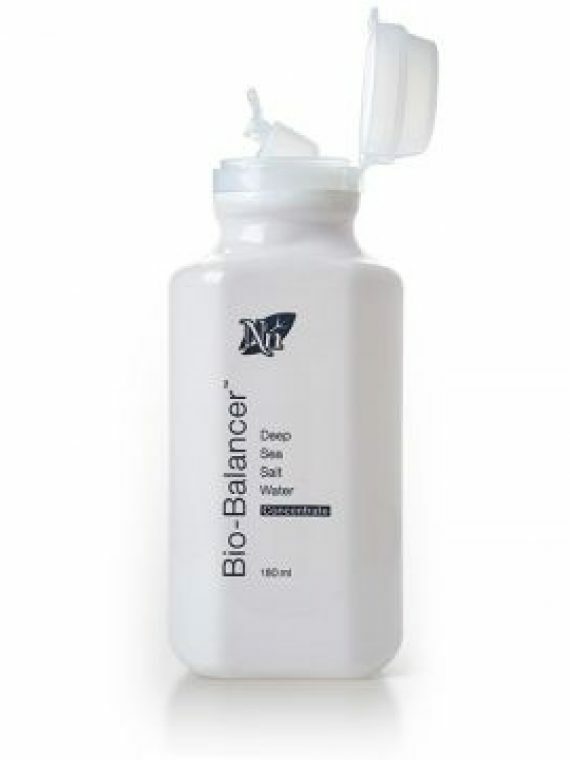 it helps cleanse the body system, remove toxins, reduce heatiness and clarify the complexion. Cleanses and removes toxin. Improved metabolism, better absorption of nutrients. Balanced Endocrine system, improved circulation enhanced immunity. Better overall health, no weight problems! Mulberry, Pine Leaf, Wheat Germ, Cassia Seed, Camellia Chrysanthemus. Place 1 teabag into 500ml (I mug) of hot boiled water. Steep for 3 minutes (or longer for a stronger brew). This tea has a mild laxative effect. If you have not taken this tea before, start by drinking a lightly brewed tea before bedtime (for the first 3 days). After that, you can drink a stronger brew, at any time, as often as preferred in place of normal tea. 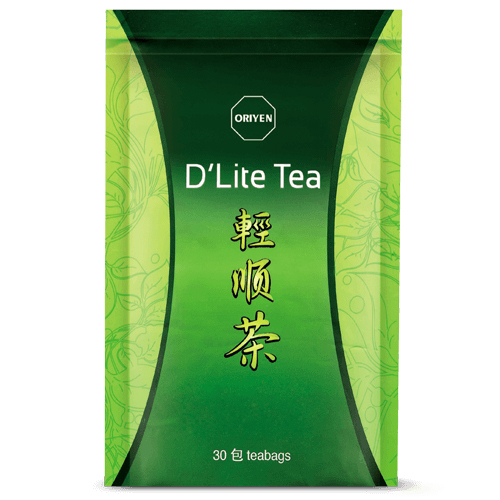 Oriyen D’Lite Tea is especially after eating oily food. Recommended dosage is 1 – 3 teabags a day. Each teabag may be reused up to 3 times or for making up to 1500ml (3 mugs) of tea. For maintenance, you can either make a pot of tea and keep it in a thermos flask to be consumed throughout the day or keep adding water to the teabag in a cup until the brew is too light, then discard the teabag. Pregnant women are advised not to drink Oriyen D’Lite Tea as it has a mild laxative effect.